ca. 430 - 420 B.C. 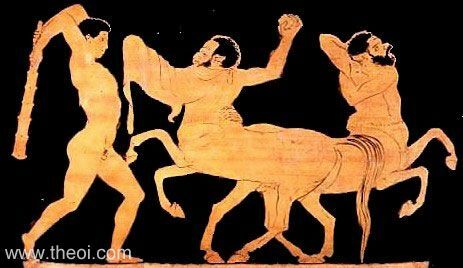 Heracles, or perhaps Theseus, battles a pair of Centaurs. The hero wields a knotted club and the half-horse men stones.